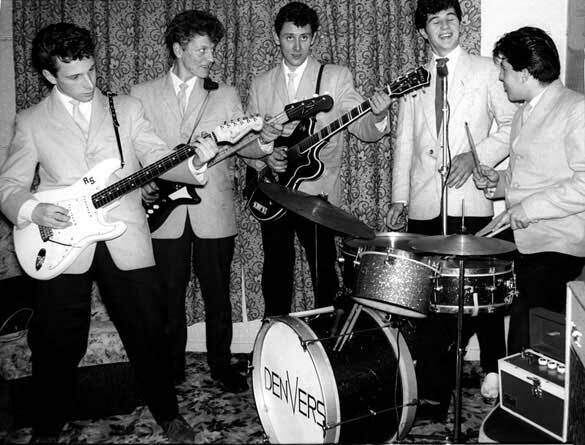 The Denvers started in the late '50s as a school band from Grangefield Grammar School in Stockton, playing school dances and functions, and the odd pub! Roy Smith (the founder) is seen on the left clutching his prized Hofner Colorama. 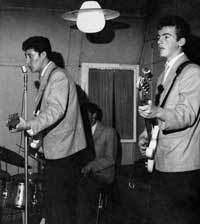 As time and a half went by, early members were shuffled to include Johnny Maunder (from West Hartlepool) and his pal Johnnie Hebb (also from Hartlepool) on bass. 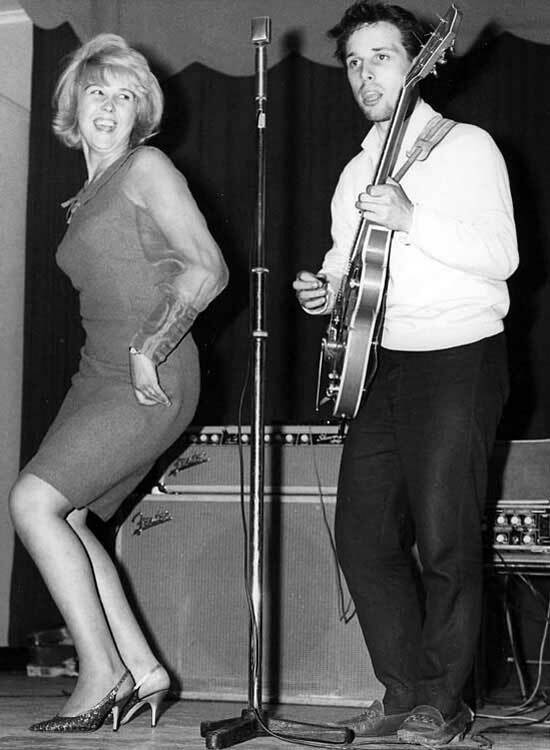 John Maunder was one of the best Elvis impersonators around at the time. 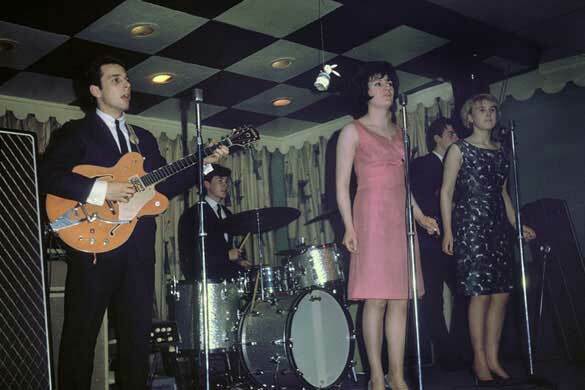 In 1960 adding a full time drummer Ron Telford, from Stockton, and singer Johnny Rocco, a "Smoggie," and some better equipment, the band made it's name at such vibrant spots such as the Maison de Danse, the Empire Continental and the Saddlers Arms in Thornaby. 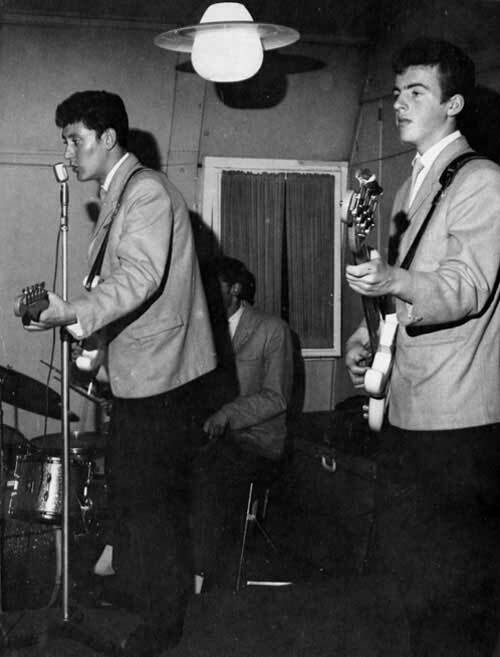 Johnny Maunder on rhythm guitar, Louis Johnson on drums, Brian Ashcroft on bass, and Roy Smith on lead during late 1962. The two photographs immediately above came to us courtesy of Terry Metcalfe. Roy Smith says: "Terry has provided a couple of milestone photographs here which certainly bring back some memories and fill a huge gap in our photo-history. 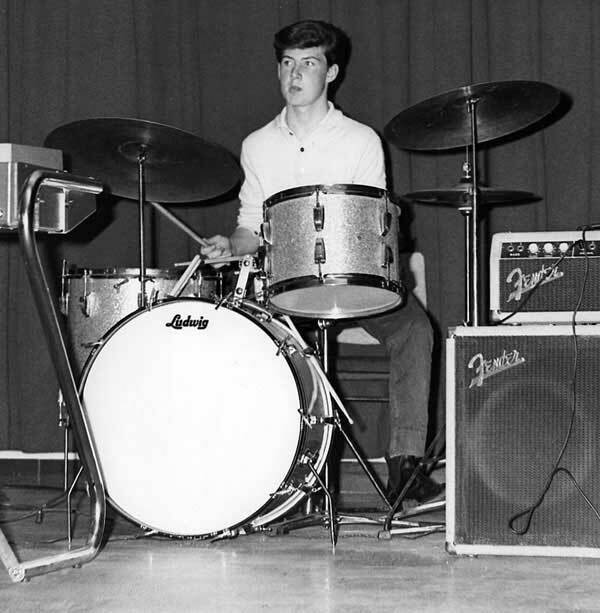 "I must say I would have wagered money that we never used Vox amps, but here is proof." 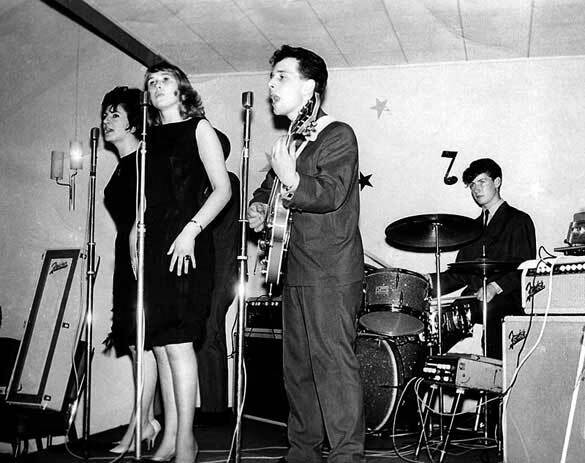 The photos are early in 1961 with new members bass man, Brian Ashcroft, and drummer, Louis Johnson with Johnny Maunder and Roy Smith during the bands first tour of France, pre-girl singers! 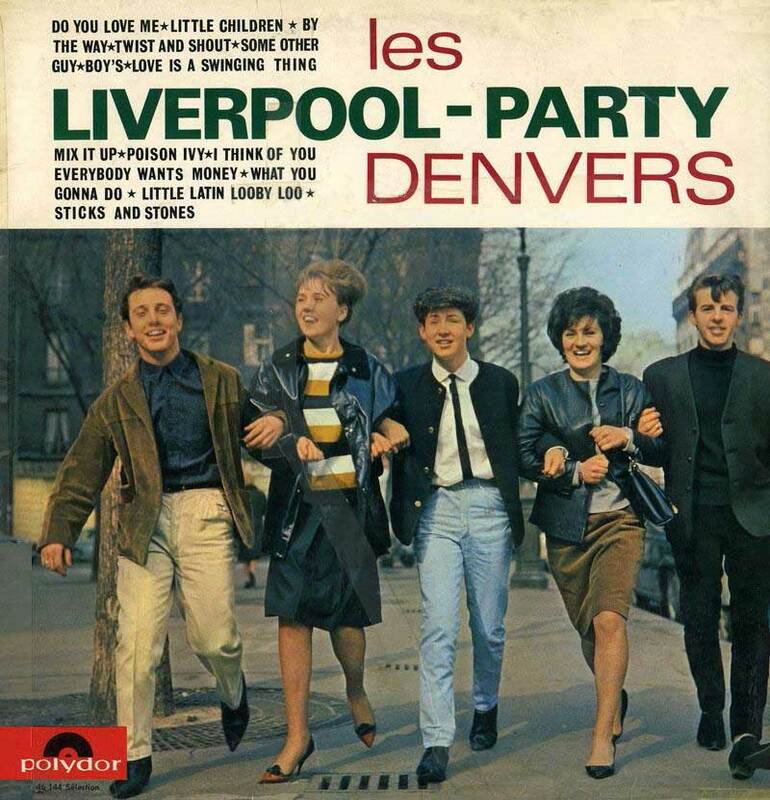 In 1961 the group got work in France where they teamed with London vocalist Jenny Paul. 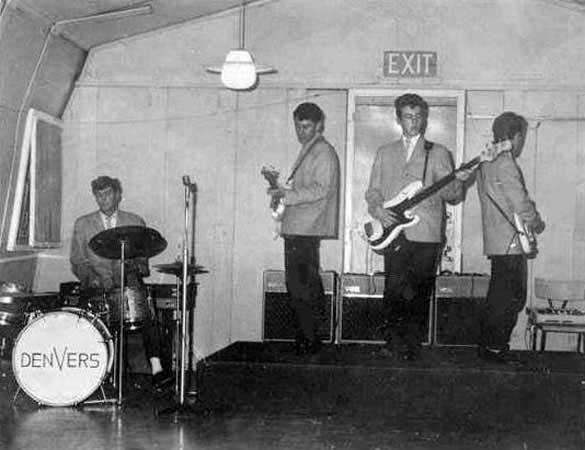 During this period their manager was Sam Curtis, who had been formerly connected with The Shadows. 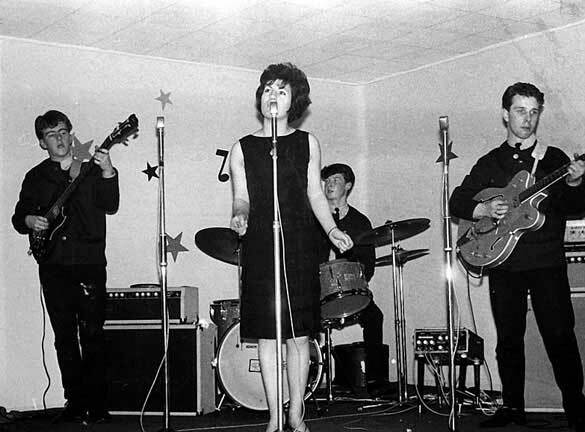 Adding another female vocalist (Pauline Riley from Norton) this studio shot featured a stand in drummer for the newly hired Adrian Tilbrook (who couldn't make the photo session) Brian Ashcroft from Billingham. There was also a stand in Gretsch Country Gentleman guitar held by Roy. 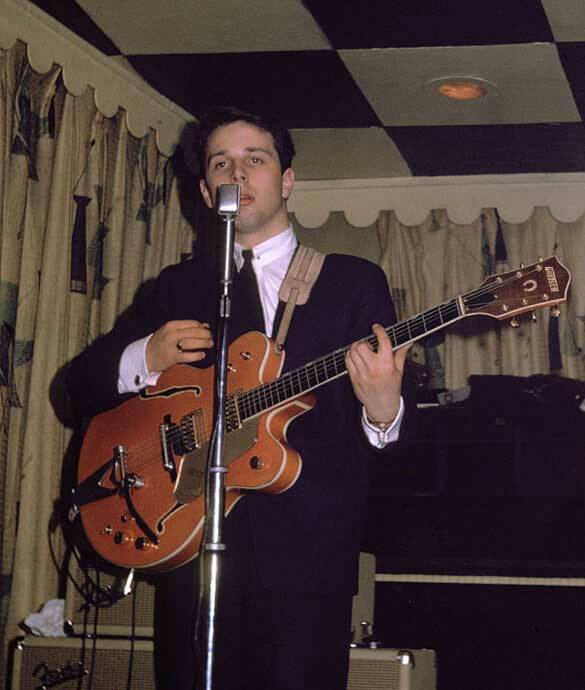 His original order of a Gretsch Country Club arrived at Burdons, on Yarm Street, damaged and the only quick replacement was a garish orange Gretsch 6120 - Chet Atkins model. 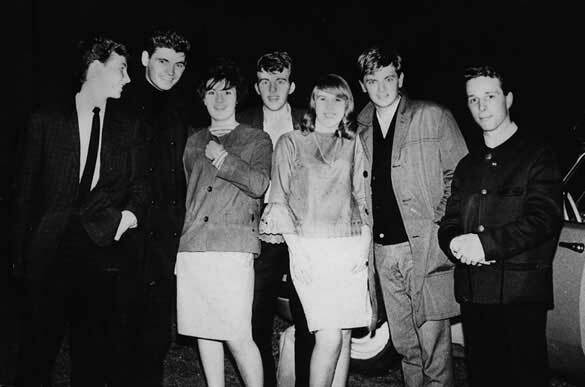 This photograph was sent to Roy Smith by Brian Ashcroft showing the band as it left Billingham for the first tour of France in 1962. 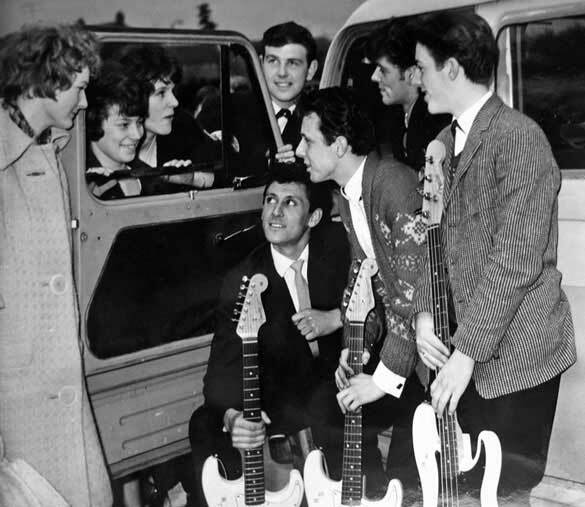 The ladies are the wives and girlfriends of the group, and the gent on the 'wrong side' of the van was Howard Flattely, a singer who, because of an apprenticeship at ICI, was unable to join the tour. 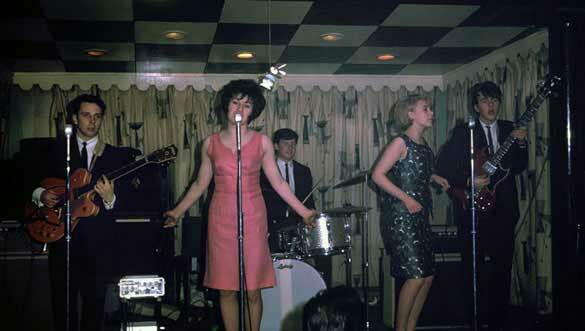 Jenny performs the group's song "Mix It Up" in the presence of a dangling rabbit in 1963. What would groups back in the day have done without the infamous Reslo mics? 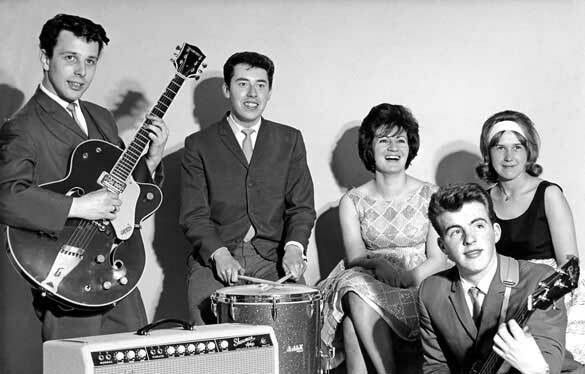 A 'Welcome Home' picture, taken by the Billingham Express, show Brian Ashcroft, Pauline Riley, Roy Smith and Adrian Tilbrook. 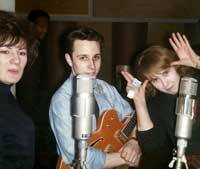 Jenny was absent from the group as she was at her home in London at the time. 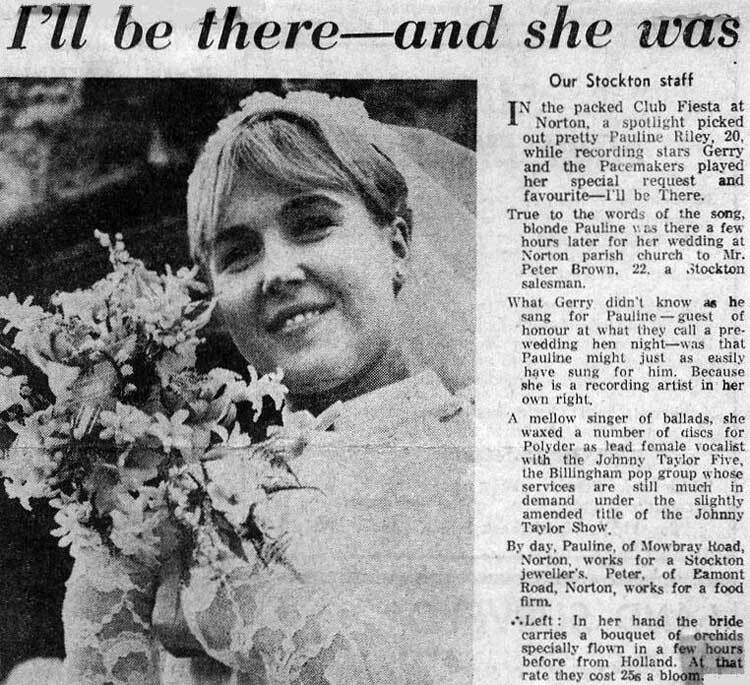 The photograph dates to 1963. 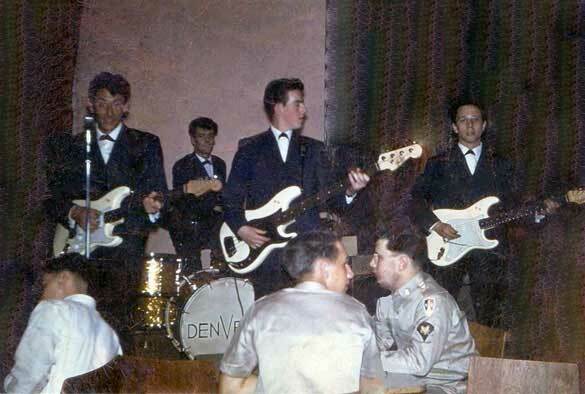 A Casual Clothes Concert during the band's last month together, September 1964. Towards the end of the final days of The Denvers with Jenny, Pauline, Roy and Adrian. 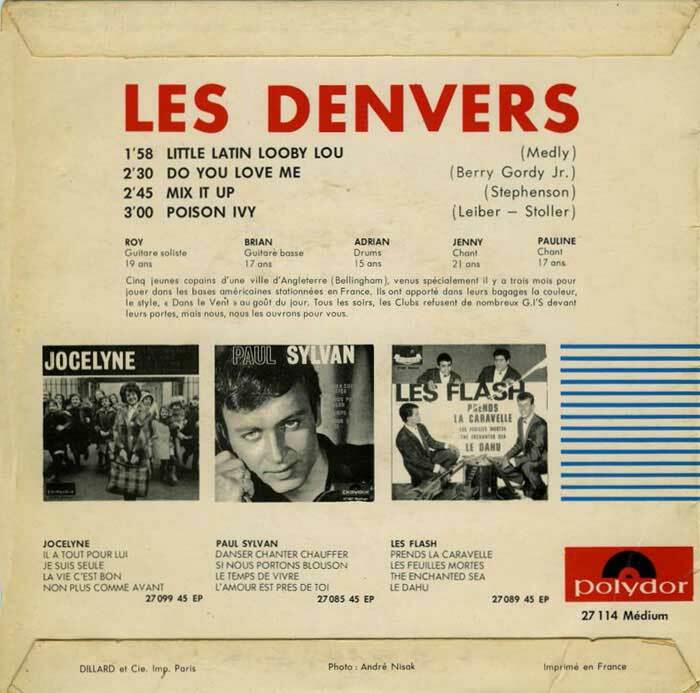 Thusly equipped, the band in its final configuration, returned to France playing on their own account, and occasionally backing luminaries like the Everly Brothers, Billy Eckstine and The Platters....and the Everly Brothers - Don and Phil - are pictured above with The Denvers in France. 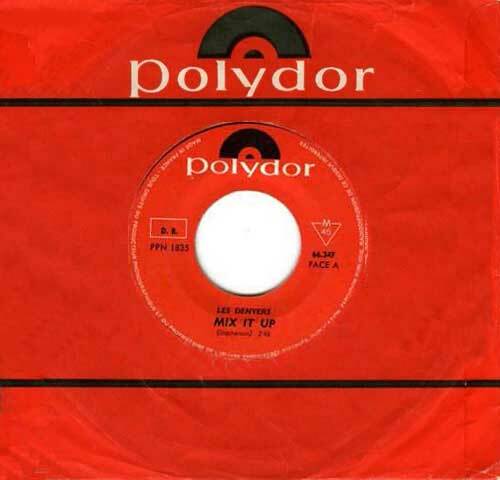 It was during this period that Roy was solicited from The Shadows organisation to replace Jet Harris on the Harris/Tony Meehan British tour promoting their current hit records. 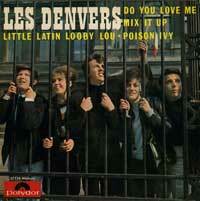 As the Denvers own record deal was then in the works, he declined! Roy Smith - the Denvers lead guitarist and vocalist. 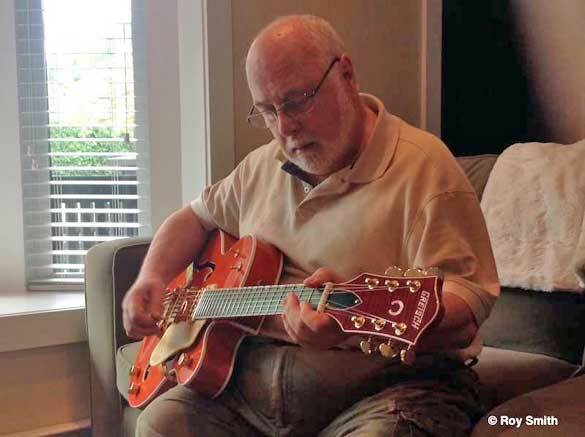 Roy Smith had a pleasant surprise bought for him during May 2014. He was visiting his youngest daughter, Alison, in Vancouver. 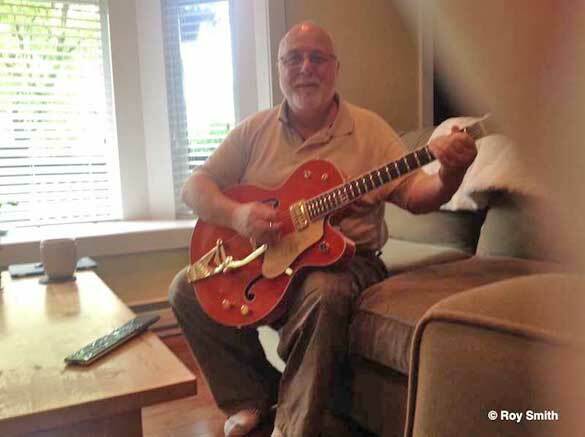 When he arrived she "blew his mind" as she presented him with this amazing gift of a Gretsch guitar! 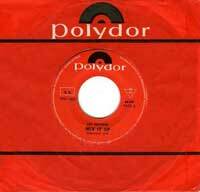 The Google monkey on this page is by Dave Sutton graphics and free 3D animated gifs for web sites. 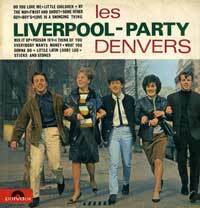 .....and finally the album cunningly named "Liverpool Party" to capitalize on the burgeoning popularity of The Beatles! The Denvers would have preferred "Teesside Booze Up" but it was not to be! Les Denvers LP cover shows Roy Smith, Pauline Riley, Adrian Tilbrook, Jennifer Hutchins and Brian Ashcroft. 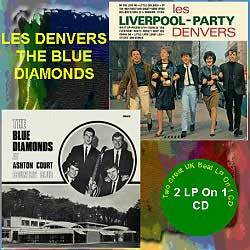 If you would like to hear the sounds of the sixties you can buy "Liverpool Party'" on this "Rock in Beat" CD issued in 2006. Do a search on the net! 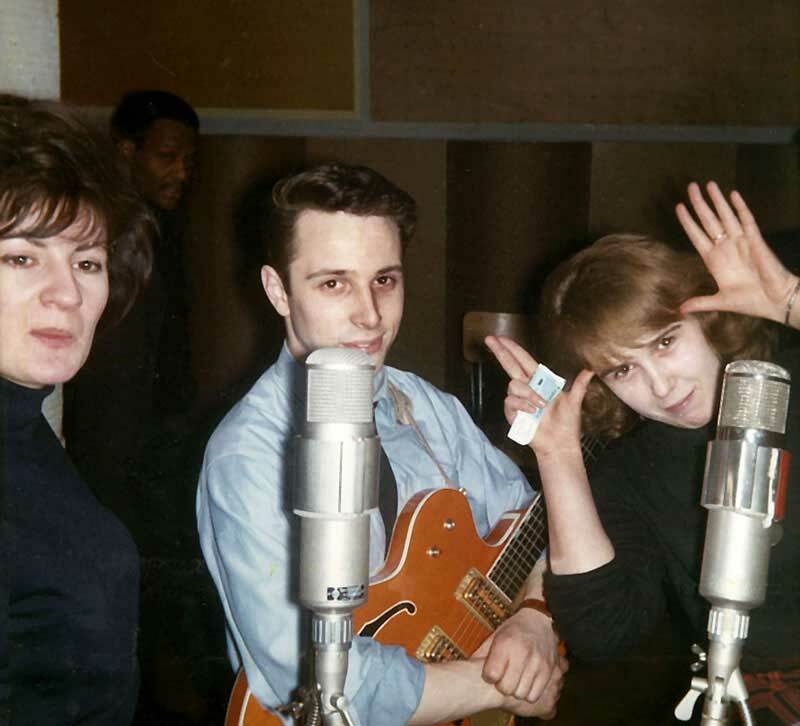 Mugging for the camera during the album recording session at Polydor's Batingolles studio in Paris in 1963 are Jenny, Roy and Pauline. 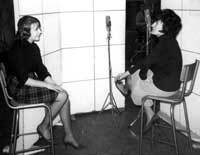 These days it would take weeks to complete an album. In those days it was done in 8 hours with the help of a jar of honey liberally spiked with cognac to keep the vocal chords well lubricated! Pauline and Jenny in the recording studio. Pauline enjoys Roy attempting to catch flies! Johnny Maunder and Brian Ashcroft entertaining in 1962 at a US Army base in northern France. Photograph courtesy of Barry Frank. This photograph, sent to us by Brian Ashcroft, also dates to August 1962 and was taken in Vasincourt (near Bar-Le-Duc) in France. 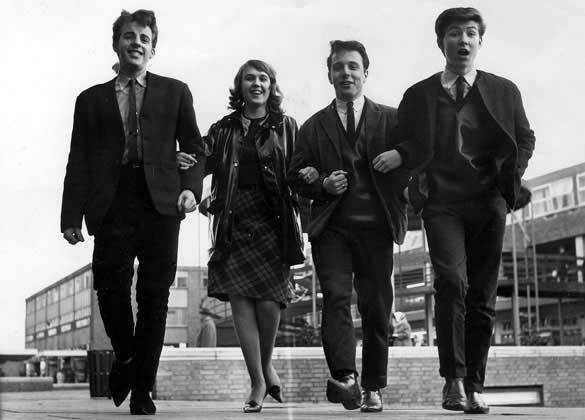 Left to right is Johnny Maunder, Brian Ashcroft, Jenny Paul (Hutchins), Louis Johnston and Roy Smith. 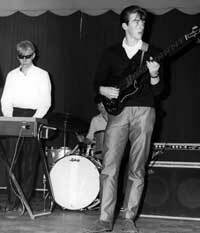 Group newcomer Mal, from Birmingham, on keyboards along with the partially hidden Adrian Tilbrook and bassist Brian Ashcroft in one of the band’s last 1964 concerts. This photograph was taken at the Maginot Line, near Toul, in North East France and shows Pauline, Roy, and Mal (last name forgotten). 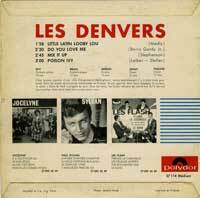 He was a organist who joined the band post-record (to fill out the sound a bit). When the group broke up the three pictured stayed on in France and Germany under the rediculous handle of the 'B.O. 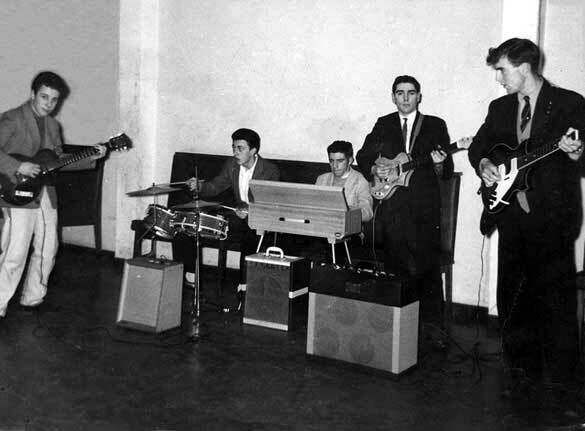 Trio' playing one-night cabaret stands. 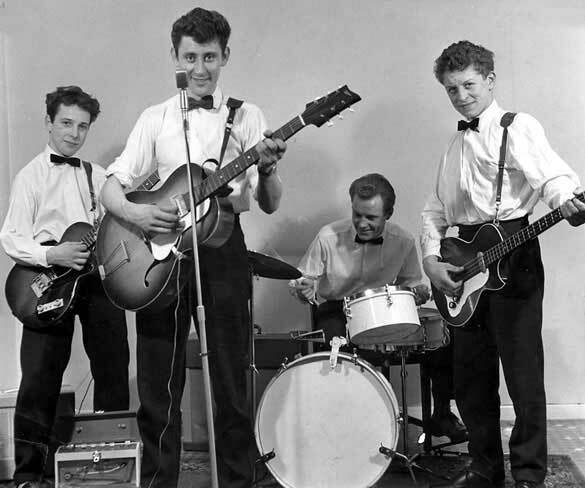 The person who took the picture was a comedian who the band were touring with (Johnny Clive) who later on made a few bob voicing John Lennon in Yellow Submarine! 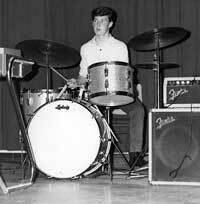 Sad to say John died in October 2012. 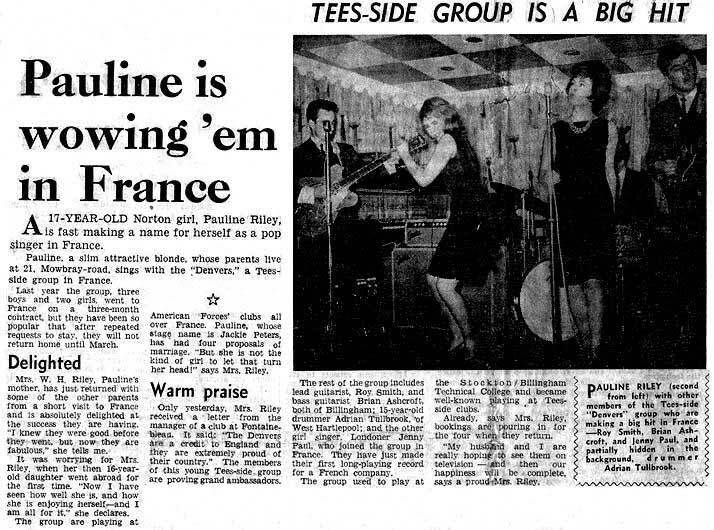 This press cutting, probably from the Evening Gazette, Middlesbrough, shows Roy Smith, Pauline Riley, who used the stage name of Jackie Peters, Brian Ashcroft and Jenny Paul. 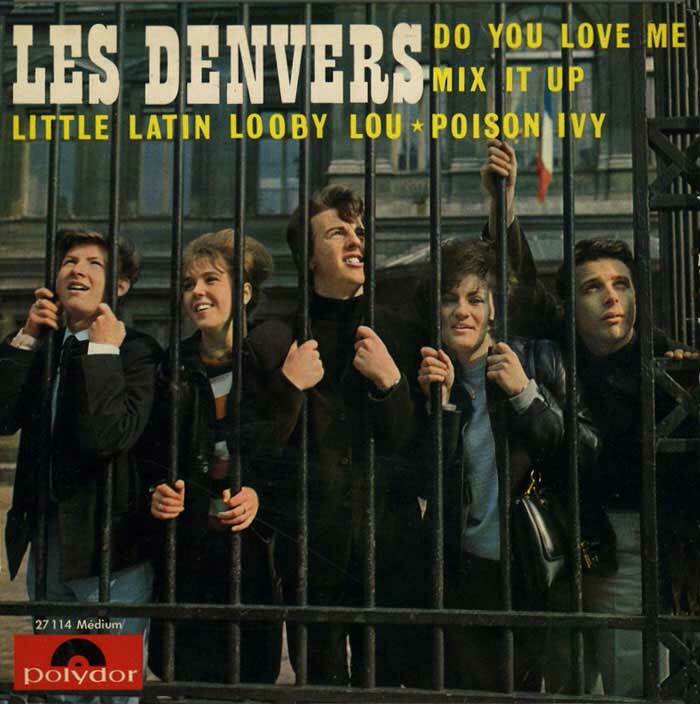 Partially hidden in the background is the drummer Adrian Tilbrook. 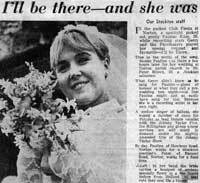 The Denvers parted ways in 1963 to follow individual pursuits - as the saying goes - and Pauline's individual direction was her marriage to Norton lad, Peter Brown, prior to emigrating to Canada. 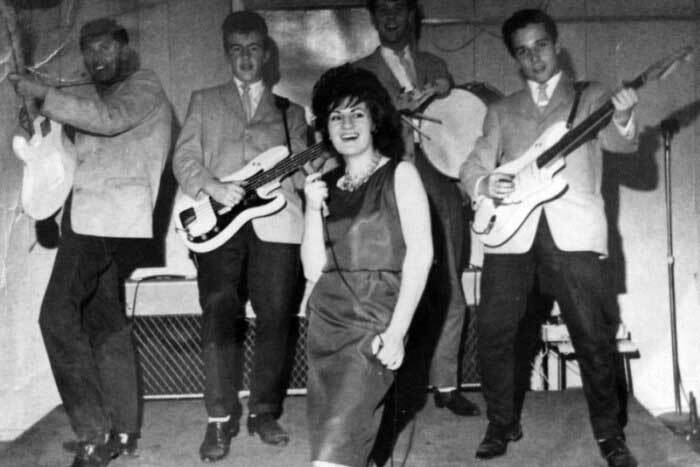 She was also a valued member of the Johnny Taylor Five as well as The Denvers. Thanks to Roy Smith for sharing his thoughts, memories and valuable collection of photographs to help make this page possible. Thanks, too, to Brian Ashcroft, Barry Frank and Terry Metcalfe for their contributions. 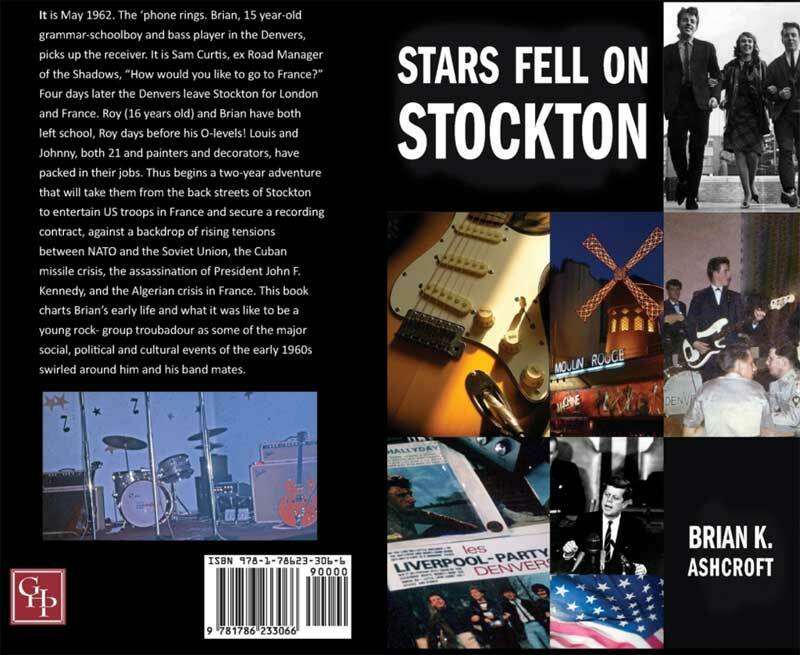 Fans of The Denvers might well be interested in this book which was written by Brian K. Ashcroft and titled "Stars Fell on Stockton" which tells the story of the band and the local scene in the 60's with a few mentions of this website too! It is released through Grosvenor House Publishing Limited and is available on line, in paperback and on kindle, via Amazon and also available at Waterstones. 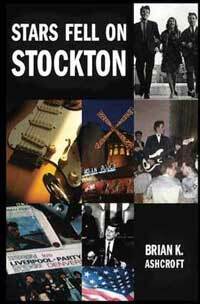 The price is £15.99 for the paperback and at £6.47 for the kindle edition.